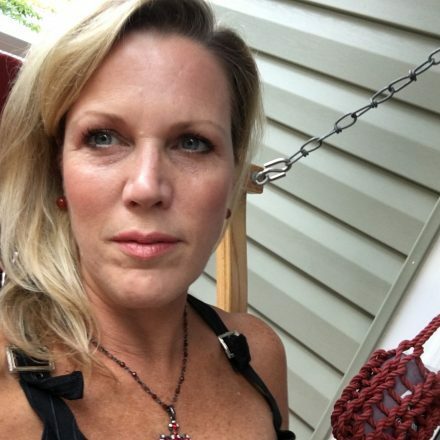 When Melissa Stevens joined Custom Embroidery & Screenprinting in 2001, her job was to order supplies, pay bills, write invoices—typical duties of an office manager. Stevens said she had no experience at the time, but was a quick learner. She also was a quick worker and found herself finishing her tasks and then, as she puts it, “twiddling my thumbs.” So she started asking then-owner Stan Maschal to teach her more about the business. When Maschal retired in 2012, Stevens took over. 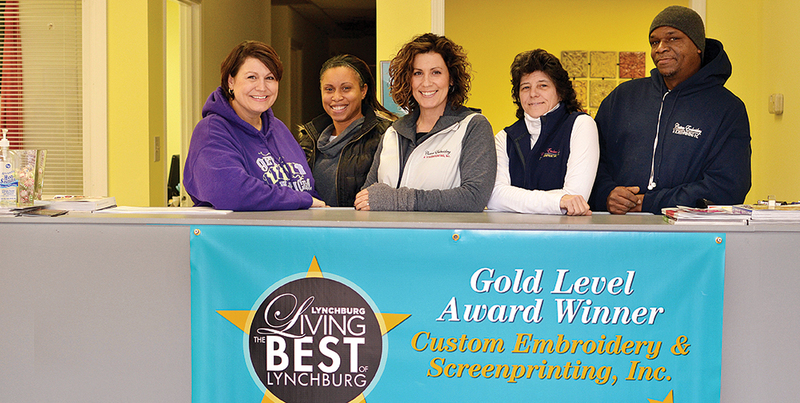 Custom Embroidery & Screenprinting has been meeting the embroidery, screenprinting and promotional needs of schools, churches, sports teams, businesses and organizations since 1999. They use nationally known brands, such as Nike, Gildan and Jerzees. Their customers include individuals and those in the healthcare, public safety, restaurant, education and other industries. Recently, they were licensed as a Liberty University vendor. Not only do they offer embroidery and screenprinting, Stevens and her staff also design custom logos and perform specialty printing for machine shops and metalworkers. And everything is done in house. “We don’t outsource,” Stevens said. Over the past three years, business has increased so much that last summer Stevens was looking for more space. Luckily, she didn’t have to look far. 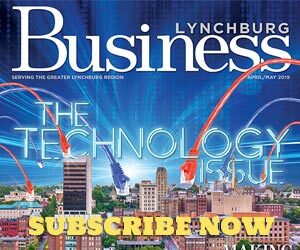 “We were just on one half of the building,” she said of the shop, which is located on Crowell Lane, in the Timberlake area of Lynchburg. “We had been growing throughout the years, and I was feeling like we needed more space. I was looking around, trying to find somewhere. So, they knocked down the wall between the two spaces, renovated, and hosted a grand re-opening in September. Stevens also cites the “personal touch” she and her staff try to give each order. “We like to treat our customers like friends, and it means a lot to us when they come back,” she said. “We grow relationships with them.